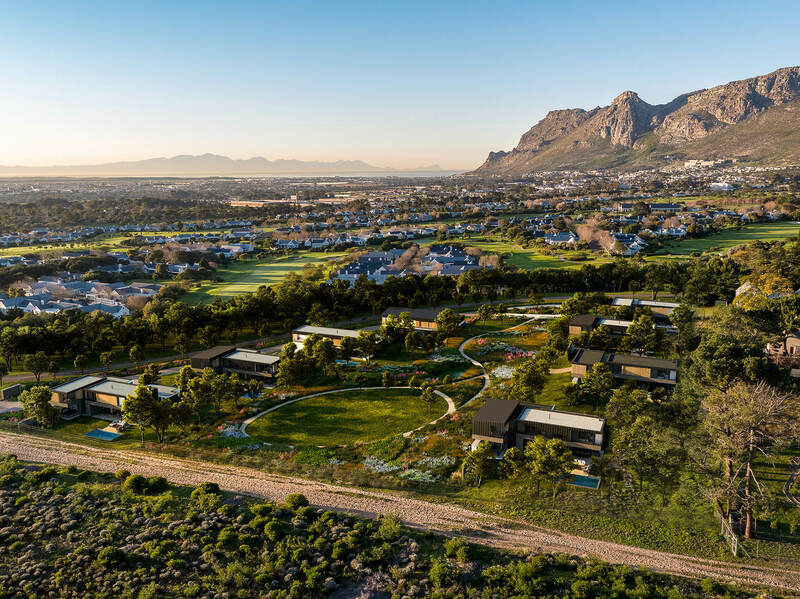 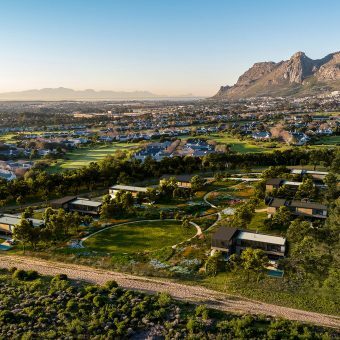 The design of the prototype residence for Steenberg Green Estate is focused on creating connections: between the residence and the park-like setting of the estate, and also to the mountains beyond – affording all spaces views of the surrounding mountains. 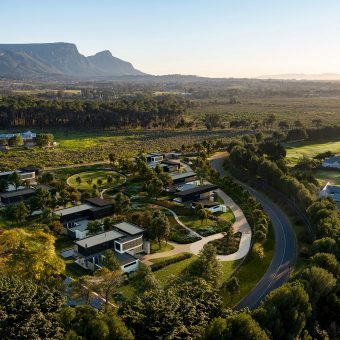 The horizontal expression of the residence is in harmony with the expansive mountain ranges stretching themselves out around the estate. 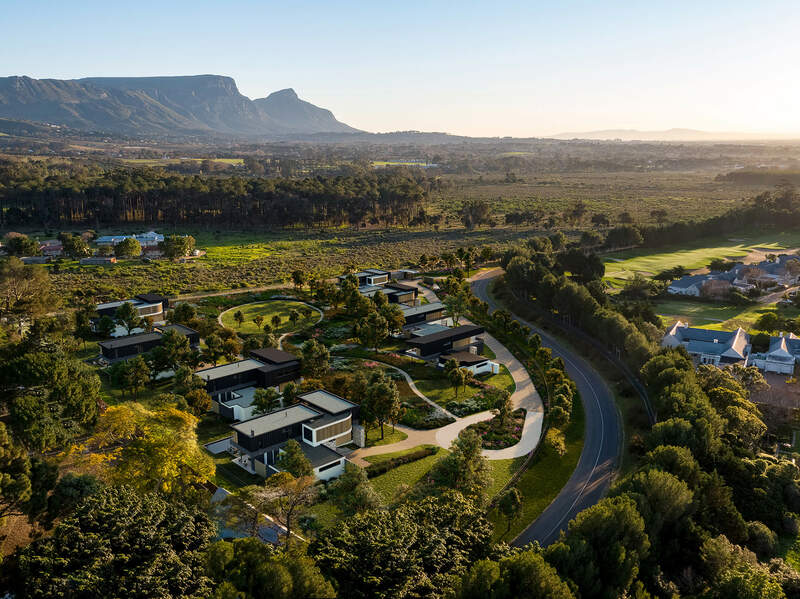 The building footprint follows the topography and natural contours, ensuring direct links from living spaces to the landscape. 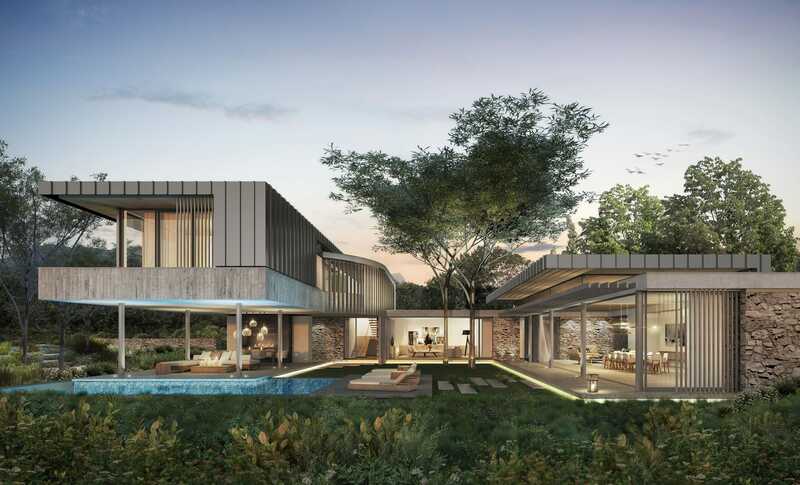 Accommodation on first floor is expressed as a contrasting floating volume, to allow uninterrupted vistas to the landscape and mountains beyond. 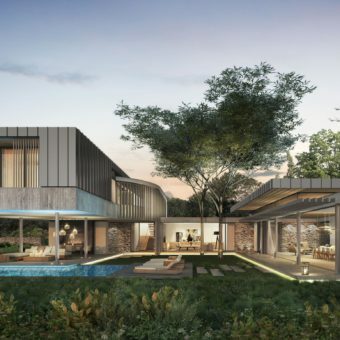 The floating block of the first floor bedrooms creates a large undercover entertainment patio below it, that functions as an exterior living room. 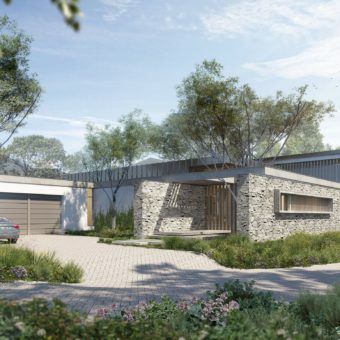 The residence is organized around two courtyards – one to welcome residents and guests and deal with vehicle traffic. 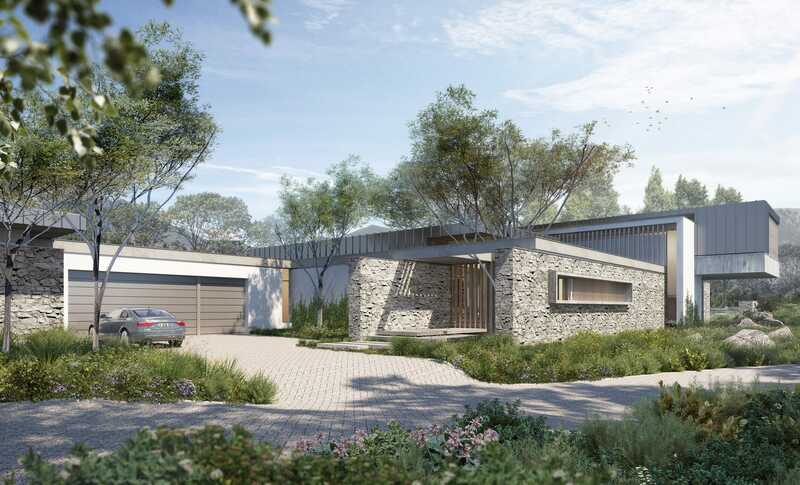 This vehicular courtyard gives access to the garaging, guest/ staff apartment and the residence’s main entrance. 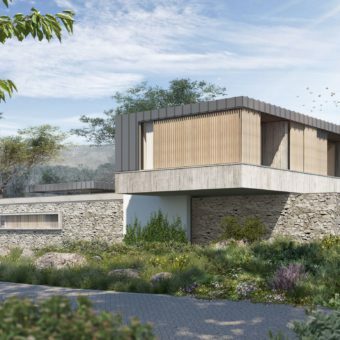 The remainder of the home is arranged around a second landscaped courtyard containing the pool – all living spaces, including a spacious kitchen, flow seamlessly out into the courtyard by means of large sliding doors. 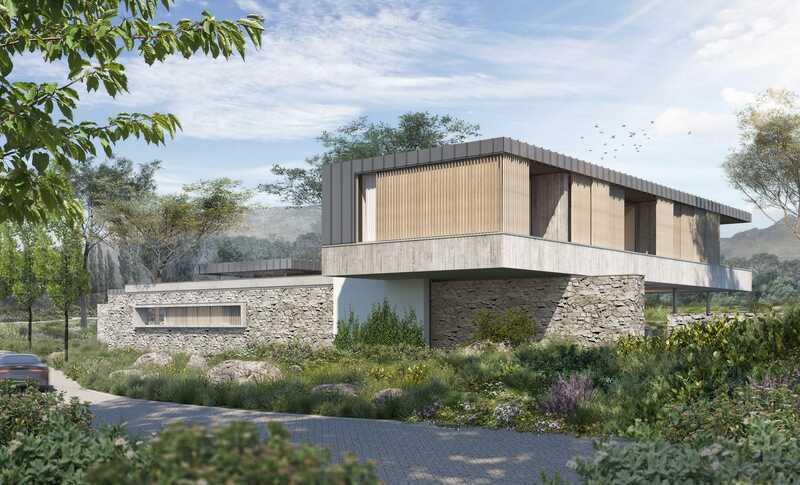 The courtyard is open on one side, to engage with the shared estate landscaped gardens and the mountain vista beyond.